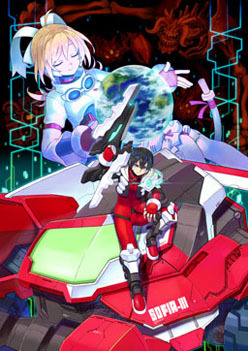 A game by Inti Creates for Switch and 3DS, originally released in 2017. 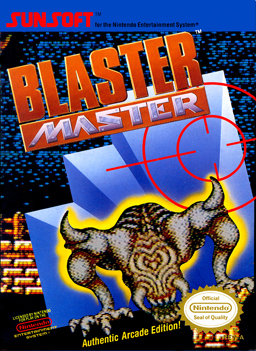 The original Blaster Master is something of a cult classic, standing out as a colorful metroidvania with unique mechanics that allow players to traverse the environment on foot or in a powerful tank called SOFIA 3rd. 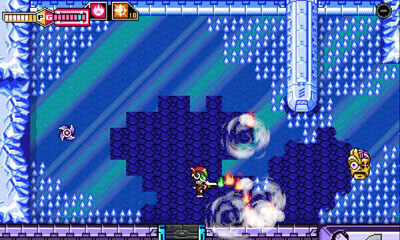 Players can freely enter and exit the tank, but attempting to move around the overworld on foot is dangerous, as enemies tower over the hero, and a single misstep can spell instant death (with limited lives and continues). However, players must leave the safety of the tank to move into underworld areas where they explore dungeons, shooting enemies, fighting bosses, and collecting upgrades for SOFIA. These upgrades allow the tank to fire more powerful projectiles, hover in the air, move underwater, and even climb walls, thus opening up new routes for exploration across a large world in a game that offers no map. 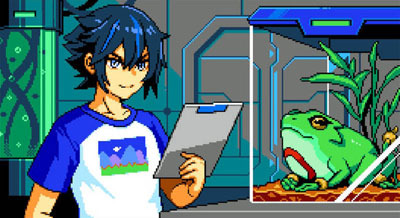 The game features a downright laughable story with a kid named Jason who has a pet frog named Fred. One day, Fred hops out of his terrarium and runs into the back yard, which just so happens to have a large crate containing radioactive material (as most houses do). Fred touches this crate and begins to grow to an enormous size before falling down a hole that leads to a labyrinthine underground tunnel system. Giving chase, Jason drops down the hole as well, and discovers a conveniently placed titanium tank and formfitting environment suit waiting for him at the bottom. He sets off on an adventure to find Fred, eventually killing a couple of giant frog creatures with no explanation as to whether Jason has blasted his pet froggie into a pile of oversized amphibian guts. 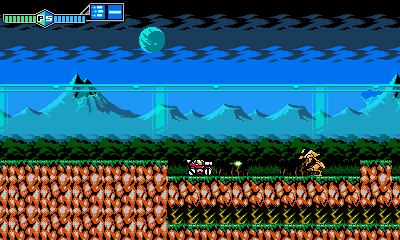 The story was retconned in the Blaster Master Worlds of Power novella. 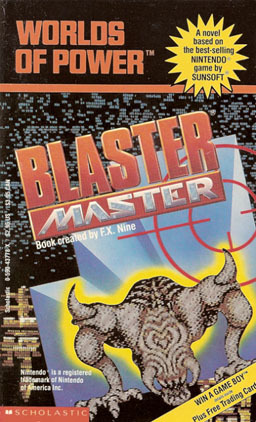 Generally speaking, the Worlds of Power series consisted of throwaway stories with young adult-oriented retellings of various popular video games, but in the case of the Blaster Master series, the events of the novelization are considered canon. 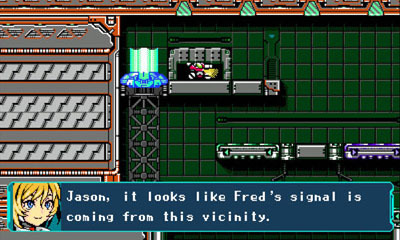 In the novella, Fred the frog escapes into a swamp where he encounters some radioactive waste, and when Jason drops down the hole to follow him, he meets Eve, a human-looking alien from another world whose planet was destroyed by the Plutonium Boss (the game's final boss). Eve assists Jason – until she is kidnapped – after which Jason moves to rescue Eve and keep the Plutonium Boss from destroying Earth. The pair even go on to get married and have kids, and these children star in one of the series' sequels, entitled Blaster Master: Blasting Again. 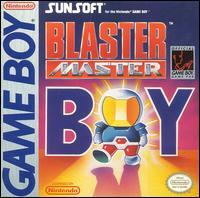 While the Blaster Master on the NES was excellent – despite its high difficulty – many of the sequels failed to live up to the heights of the original, as powerhouse NES developer Sunsoft farmed out development to a number of other studios. 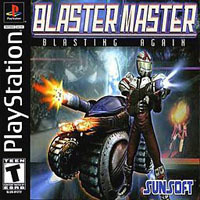 This resulted in a subpar sequel, Blaster Master 2, on the Genesis; a reskinned Bomberman game on the Gameboy entitled Blaster Master Boy; a Gameboy Color title called Blaster Master: Enemy Below, which offered a remixed take on the original game; and a competent 3D sequel on the Playstation called Blaster Master: Blasting Again (released as a budget title in the US). 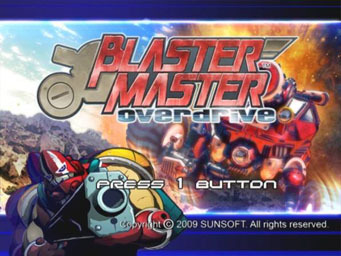 In 2010, there was an attempt to bring the series back with a 2D WiiWare entry entitled Blaster Master: Overdrive, which suffered from control issues. 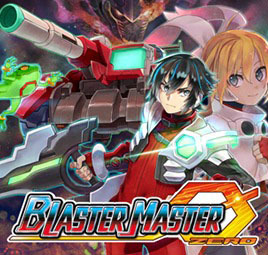 Blaster Master Zero acts as a reboot for the series and a modern remake of the original game, with added narrative elements that provide a more detailed backstory and incorporate Eve into the events of the original game. As the story goes, humanity is forced to live underground, after many years of war and poor environmental stewardship cause the Earth to plunge into a new ice age. While living underground, humankind works to re-terraform the planet to make it habitable again, and the people are eventually able to return to the surface, despite a mysterious comet landing on the planet in the meantime. Hundreds of years have passed, and Jason – who is now a young adult and an expert in the field of robotics (and who may be wearing a Blaster Master T-shirt) – discovers an unknown species of animal that appears to be a frog with golden bracelets and a tail. He names the frog Fred and begins to study it, but after a while, Fred makes his escape. There is no radioactive waste this time, and no growth into a gigantic creature. Instead of dropping down into a normal hole, the frog passes through some strange portal on the ground, which leads to the subterranean habitat formerly occupied by Earth’s displaced human residents. When Jason follows, he discovers SOFIA III at the bottom the hole, and its doors open for him. He’s all like “Hey, free tank” and hops inside to pursue the frog into the unknown depths. Jason encounters Eve early into his adventure, and she joins him in the tank, speaking with him as they risk their lives to locate a runaway (hopaway?) frog. There are numerous dialogue exchanges throughout the game, and lots of optional dialogue is available should the player wish to further interact with Eve. Unfortunately, the writing is infantile and does little to add to the overall experience, with most conversations limited to explaining the tank’s upgrades, wondering where Fred might be, and where to go to find the next boss. There is almost no character development or conversation outside of the primary gameplay objectives, despite the opportunities created by the fact that Jason is a scientist, Eve comes from another world, and they are exploring a huge underground complex filled with mutants. In short, the original game offered a colorful open-world adventure with no story outside of the manual and introductory cutscene, with gameplay and abilities evident through exploration and experimentation. The new game offers a narrative that does little more than explain the player’s movements, weapons, and abilities, which are equally evident through exploration and experimentation… if not more so, given the presence of a detailed pause menu and map. 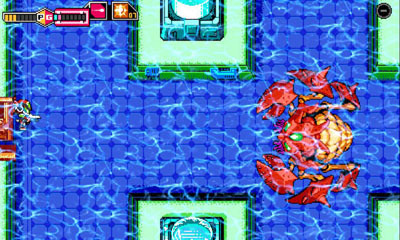 Additionally, the story has not matured in equal measure with its now-adult protagonist or its aging audience, which is in stark contrast to its contemporary cousin, the Metroid series, which originated with a minimal story, continued to develop a more mature (yet still minimal) narrative through its numbered sequels in Metroid II and Super Metroid, and offered a consequence-filled conclusion with the narrative-heavy Metroid Fusion. 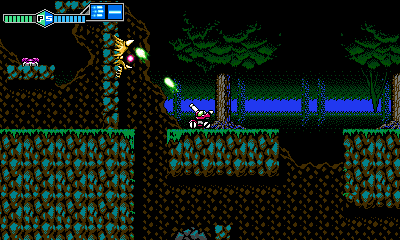 Structurally, Blaster Master Zero is built very similarly to the original game, from the level layouts, to the themed zones, to the common enemies, to the powerup structure for SOFIA. 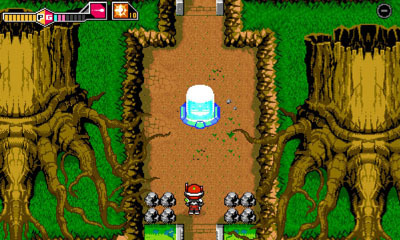 Players experienced with the original game will recognize many familiar locales – the opening area is nearly identical – and even the arrangement of levels is similar, with the player moving from left to right through the first three areas before returning to the start to access the fourth. 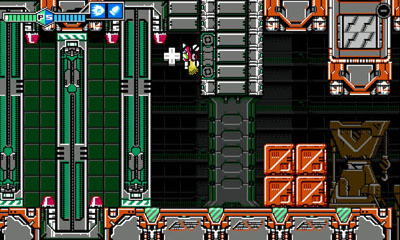 The iconic sequence where SOFIA rockets down a tunnel also makes an appearance, along with several remixed music tracks from the original game. The visuals are more detailed and the enemies are more colorful, replacing the monochromatic foes from the original game. And yes, those dastardly slugs are back… standing too low to be shot with SOFIA’s standard cannon. 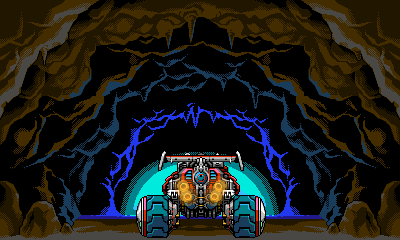 The player can only defeat them with secondary weapons or by ejecting from the tank and attempting to do enough damage before being overtaken. 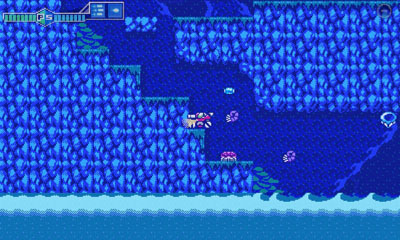 As in the original game, SOFIA can be driven left or right, and the tank has a great deal of inertia, taking a long time to slow down after a running leap, so the player must be careful not to overshoot platforms. The tank can shoot to the left or right, or the turret can be aimed straight up, with the wheels pinching together to give SOFIA a bit of extra height. 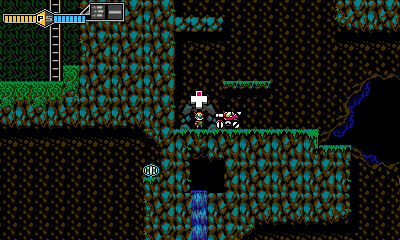 Borrowing from Blaster Master 2, the turret can also be aimed in a 45 degree angle, which is particularly useful when facing flying enemies. At any point, Jason is able to exit the tank, but he is weak, tiny, and easily killed by tougher enemies. He also has a low jump height and is killed by taking fall damage, making him less than ideal for environmental navigation. 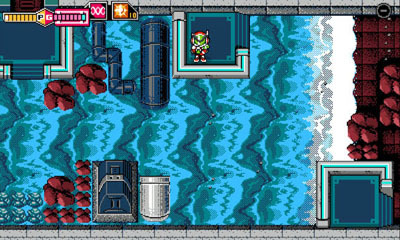 However, there are numerous areas where the tank cannot fit, as indicated by small openings or ladders, and it is here that Jason must brave the dangers to enter dungeons or occasionally access switches. 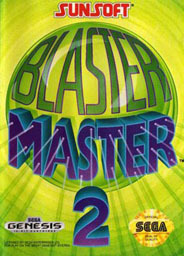 In the original game, Jason’s blaster could be upgraded to eight levels, with each level more powerful than the last, and a wide wave beam activated at the highest level. But, if Jason took damage, the weapon’s power would be reduced by one level. 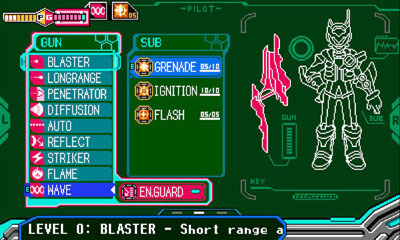 In the new game, the weapon can still be powered to eight levels - and is reduced by one level upon taking damage - but each power level offers a different firing type rather than a wider or longer range, and these weapons may be selected independently, allowing the player to take advantage of each of their strengths. At its default level (zero), Jason has an ineffectual short range shot, just like the original game. The first upgrade offers a longer range, with the next allowing bullets to penetrate walls, again similar to the original game. After that, the next weapon is a short shotgun-style blast, while the next is a machine gun, and the one that follows is a shield. Next is a slow-moving electrical shot that is capable of arcing to strike nearby enemies, making it useful for large numbers of weaker foes. After that, the player earns a flamethrower with a wide range that not only causes continuous burn damage to enemies; it can also be used to melt icy floors and ice spikes in frozen dungeons. Finally, as in the original game, the highest level is a wide shot that penetrates walls and baddies, allowing the player to make quick work of rooms full of enemies. In fact, the weapon is so powerful that even bosses aren’t much of a match for it, leading to situations where a boss is introduced and then killed within the span of a few seconds, sometimes without even having a chance to attack. Given that the player is virtually unstoppable once his weapon is levelled to full strength, there is little need to experiment with the other firing types. This also means that the difficulty is largely removed from on-foot sections, including the notoriously difficult bosses from the original game, which are complete pushovers here. 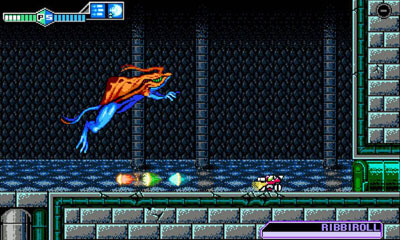 However, there are a few occasions where the player gets to take on bosses using SOFIA in sidescrolling environments, adding some variety and requiring a bit of extra strategy. If Jason's blaster is dropped down to a lower tier, the player must quickly adapt to the new firing type, or must manually select a lower-tier weapon (especially if he gets bumped down to the shield). 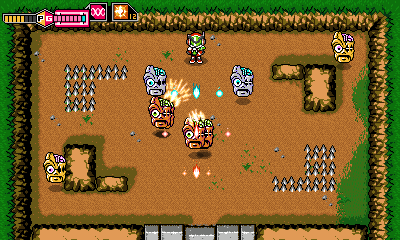 However, some boss creatures drop weapon pickups, allowing the player to get his fully-powered weapon back – which must be manually selected – and there is also a powerup that lets the player take a single hit without having his weapon powered down. In addition to his blaster, Jason gains access to several kinds of grenades throughout the game, each of which can be carried in limited quantities, with frequent drops from destroyed enemies and blocks. 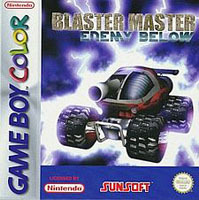 With a fully-powered blaster, there isn’t much need to use them, as they each have a short range, but some of them have alternate uses... For instance, grenades can be used to blow holes in weak walls to find hidden areas, flash grenades double as light sources in dark dungeons, and turrets not only damage enemies but also draw their fire. Upgrades for SOFIA are found by exploring the on-foot sections, with secondary abilities found by defeating minibosses, and primary abilities found by defeating the final boss in each area. The new game features a few classic bosses from the original game, but adds a whole lot more. In addition to the eight end-level bosses, there are now more than a dozen new miniboss encounters, often in the form of enemy swarms. The game offers more reasons to explore with secondary upgrades not only for SOFIA but for Jason as well, with several optional pickups in the form of permanent health upgrades and maps, and a new area and true ending for players who discover everything. Jason and SOFIA each have eight units of health, but this number can be extended to 16 by finding green coins tucked away in dungeons and overworld areas. Maps are always located in dungeons, usually in one of the earliest accessible in the area, and finding them reveals everything in the area, including dungeon entrances, boss locations, and even otherwise hidden health upgrades. 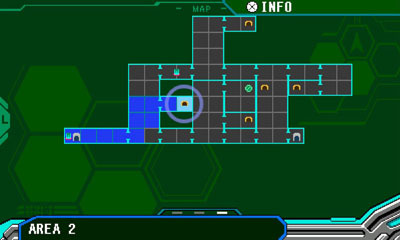 The original game offered no in-game map, and instead offered an instruction manual that showed only a general overview of the level layouts. 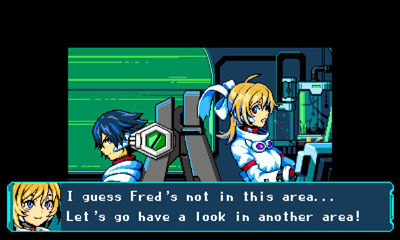 Blaster Master Zero uses the map to indicate the player’s next objective, allowing him to always move toward narrative progress while revealing additional areas that he may wish to explore. As such, some of the traditional map-based metroidvania mystery is lost, as players are longer feeling out the environment to find a path forward, but are given a flashing beacon showing where to go next and an exposition-espousing companion, per modern design standards. In a missed opportunity, the 3DS version of the game does not include a map on the second screen; it is only accessible via the Pause menu, and even then, it’s a couple of clicks away. Instead, the bottom screen is static and touching it reveals a secondary menu that could easily have been included in the standard Pause menu. 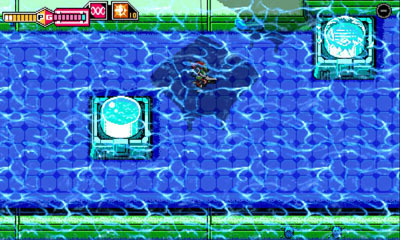 The game also offers infinite continues and loads of save points – including ones immediately before bosses – removing one of the major barriers that stood in the way of players completing the original game. 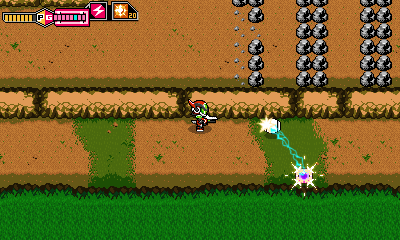 Secondary weapons and abilities – including lightning and homing missiles from the original game, along with some new additions – now draw from a slowly-recharging energy meter, removing the need for the player to put himself at risk hunting for ammo and “hover” icons. 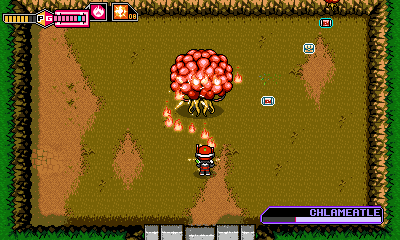 Destroyed enemies and blocks occasionally reveal health and energy restoratives, increasing the player’s survivability and allowing him to recharge the energy meter more quickly. While the game’s overall content is very similar to that of the original game, there are a few modern twists that add additional flavor and nuance to the experience. 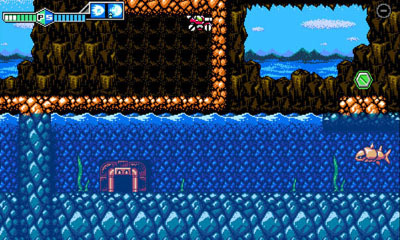 First, there are some dungeons where waves of water periodically rush through, slamming the player against the wall if he is caught in the current, unless he finds a high point and waits for the water to pass. 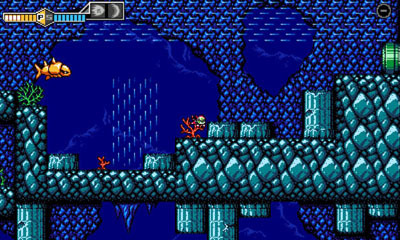 The water wipes out enemies as is passes, but it also deposits new ones, along with rocks, which must be blasted quickly to clear a path to the next elevated platform. However, this design does significantly slow the pace of exploration in some areas. Next are some fully underwater areas. Players may remember the harrowing sequence in the original game where Jason is forced to leave the safety of SOFIA and swim through a lengthy underwater section, complete a dungeon, and then make it back to the tank. A similar sequence exists here, but modern graphical niceties allow for the dungeon areas to be completely submerged, with water appearing in the foreground and the shadows of fish swimming overhead… along with a very cool preview of the crab boss at the end of the area. 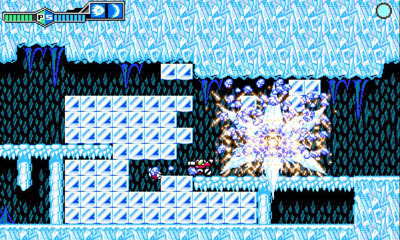 All of SOFIA's powerups from the original game return (including the rather lame key), and acquiring new abilities allows the player to explore the environment more fully and return to previous areas to find new paths forward. Upgrades include hover jets, free underwater movement, and the ability to climb walls and ceilings. The wall/ceiling abilities are now combined into a single powerup, and are initiated with a separate button press, offering more technical control. This design removes a bit of the energy from the wall climbing experience, as players no longer run at full speed into walls, climb them, and then flip off of the top. On the other hand, this added control means that players no longer have to worry about accidentally wrapping around a ledge when they’re trying to drop down to a lower platform. A couple of months after the game's release, the developer followed up with Version 1.2, which includes a more difficult Hard mode that unlocks after completing the game, giving enemies more health and making them immune to certain levels of the blaster, while also downgrading some of the pickups, doing away with health meter increases, and adding suicide bullets for enemies killed using SOFIA. 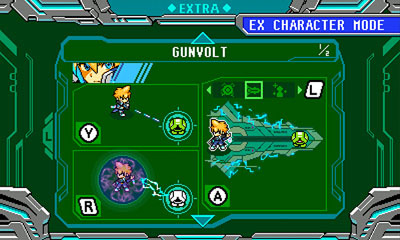 The update also makes available a pair of downloadable characters in the form of Gunvolt from Azure Striker Gunvolt and Ekoro from Gal*Gun, both of whom also appeared in the retro-style spinoff Mighty Gunvolt. The pair retain the abilities from their respective games, with Gunvolt "tagging" enemies, zapping them with electricity, and using electrical special attacks instead of grenades, and Ekoro hovering through the air, shooting arrows at enemies, and using heart-based special attacks. These heroes are much more capable than Jason during on-foot sections in the overworld, allowing players to hop out of the tank and blast away enemies - and even bosses - without SOFIA's protection. Other downloadable playable characters include indie favorites Shantae and Shovel Knight. 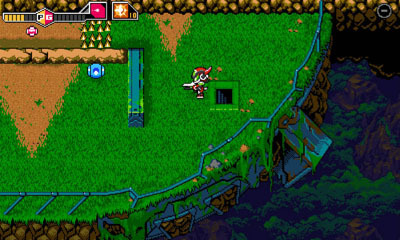 Blaster Master Zero was developed by Japanese studio Inti Creates. The company is the developer behind a number of latter day entries in the Mega Man series, including the Mega Man Zero series, Mega Man 9, Mega Man 10, Mega Man ZX, and Mega Man ZX Advent. 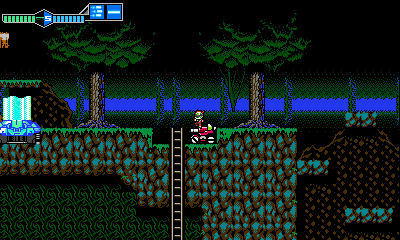 Inti Creates licensed the original NES Blaster Master game for this remake/reboot from Sunsoft, the game's original developer. Inti Creates has also collaborated with other developers, including working with Alchemist on Gal*Gun, working with Keiji Inafune’s company Comcept on Mighty No. 9, and working with WayForward on Shantae: Half-Genie Hero and Shantae and the Pirate's Curse. The company is also known for the Gunvolt series, which includes Azure Striker Gunvolt, Azure Striker Gunvolt 2 and the spinoffs, Mighty Gunvolt and Mighty Gunvolt Burst, starring characters from Azure Striker Gunvolt, Gal*Gun, and Mighty No. 9, and Bloodstained: Curse of the Moon.